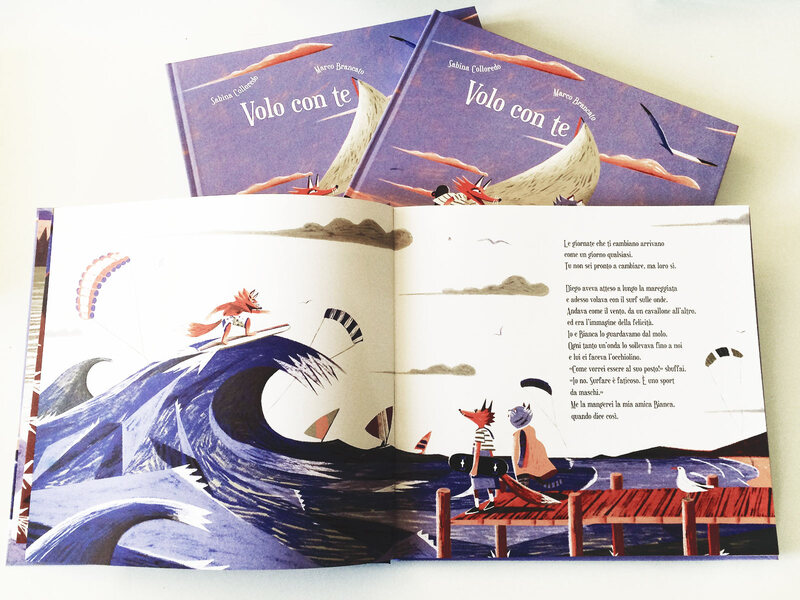 Volo con Te, our book developed with Carthusia Edizioni, is an awareness project the Foundation wanted to create using the first-hand experience gained through working together with the girls and boys involved. In the words of the author, Sabina Colloredo, there is the deep sense of the journey to become what we are inside, something that can be discover gradually, like the horizon, when we are at sea. Choosing one’s own path is not only necessary for oneself but is also the foundation for any genuine social relationship. From the intimate exchange within the family and personal circle, to the professional contribution in the world of work. Join us, offering this book to whom you love, giving an authentic opportunity for dialogue, exchange and self-discovery. On the QVC website the limited edition of the book is on sale for the entire month of March with the proceeds going entirely to BET SHE CAN. The book will then be available in all good bookstores from the 28th of March onwards. And keep on following us! There will be an opportunity to meet Marie-Madeleine and Patrizia, representing BET SHE CAN and Carthusia Edizioni respectively, when they appear on the QVC Channel participating in the teleshopping of the book! Keep up to date in our Schedule section.